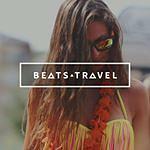 Beats Travel are the leading innovators of music tourism. Creating the most unique experiences and a cross-platform marketing network of clients with a passion for travel, lifestyle, music, and culture. Designed and focused around your brand’s values, we will open up and create bespoke marketing campaigns whether you are a drinks company, airline, travel agency, tourism agency or hospitality company. Our experiences are created to generate awareness and the unique locations and activities will break through the web and get your target audience connected with your company.